For many men, feeling needed and competent comes with supporting and raising a family. Now that your father is no longer actively in that role, he may feel less necessary or vital. It’s important to honor the contributions he made when he was raising you, and to remind him he’s still your father and an important support in your life. 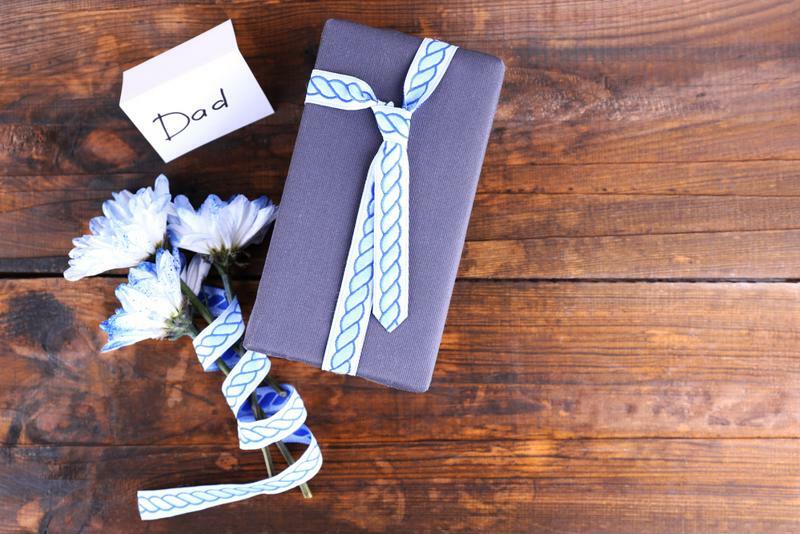 If you have special circumstances – perhaps your father lost a child, or is now a widower – Father’s Day can bring up some intense emotions for your dad. The best thing you can do is create an environment where it’s OK to express those feelings. Kind words, a loving card and plenty of hugs mean more than you might imagine in this situation. If your father requires additional help managing his emotions or becomes agitated, there are always staff members on hand to help. No matter how much space dad has in his assisted living apartment, it’s likely he’s not too interested in accumulating more possessions. Instead, think outside the box about what he might like. Is there a restaurant in the community he often goes to? A gift card to use there may be a lovely idea. For many dads, pictures of their children and grandchildren are the perfect present. If you have the means and your dad has the skills, a tablet computer is a wonderful gift. It can help him stay involved in the lives of family members near and far and even connect him to like-minded friends who share his hobbies. Consider which gifts would enhance his days and foster connection, and focus on those. If your father’s health prevents him from going out much, there is still plenty you can do to celebrate Father’s Day. You can make the day special even if your dad suffers from dementia and may not understand what the holiday is or why a celebration is happening. All it really takes is love and attention in both cases. 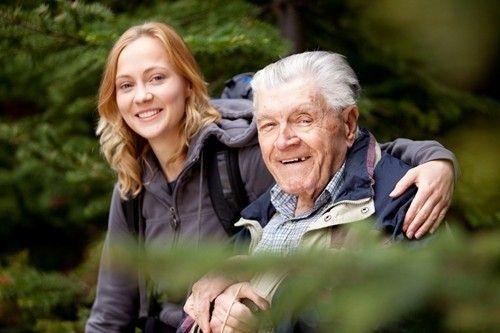 Bring the whole family to dad’s assisted living community to spend time with him and no one will miss going out. Similarly, just showing up to be present with your father if he has dementia will mean the world to him – even if he’s not entirely clear on the details of the day. Of course, your dad may be able to take excursions into the community with you, which can be a fun way to spend the day. Make sure you understand any limitations he has before you plan an outing, but also be sure to make it fun. Maybe you could spend a day fishing or even just driving through the part of town where you grew up. With a little creativity and a lot of love, Father’s Day at an assisted living community can be a wonderful time.